This article has been contributed by Sandra Greenbank, Nutritional Therapist at IVF London, specialist fertility clinic based in Elstree, London. Nutrition really forms a base for healthy fertility and pregnancy. The food that you eat can have a direct impact on the development of the egg and sperm, as well as the future health of your child. It is therefore an important and helpful thing to focus on when you are trying to get pregnant through IVF. The building blocks for the egg and sperm come from the food that you eat. It takes around three months to mature an egg ready for ovulation and to produce sperm. I like to think of this time as preparing your garden soil for planting; removing debris and rocks and adding nutrients to the soil before sowing the seeds and making sure they are watered and kept in the ideal sunny spot. During this time, the egg and the sperm are exposed to everything that is circulating in your blood stream. This includes vitamins, minerals and any chemicals that you come into contact with. This may be through your skin, via the food that you eat or the air you breathe. Even if you don’t have three months to prepare, there are still many strategies available to improve the environment in the womb and the mother’s nutritional status. What is the best diet for fertility? Nutrient needs are very individual and mainly comes down to our genetics and lifestyle. However, there are a few basics of a fertility diet, based on nutrient-dense foods. Women and men should concentrate on eating plenty of colourful fruits and vegetables. These provide the vitamins, minerals and fibre needed for optimal health. Importantly, they also provide antioxidants which help to protect the egg and sperm from damage caused by free radicals. I recommend eating seven to ten portions of fruits and vegetables every day. Make sure you are eating all the colours of the rainbow, ideally with a special focus on dark green and orange varieties. Fibre, along with healthy fats, supports normal hormonal balance and healthy cell membranes. Good sources of healthy fats include avocados, olive oil, nuts, seeds and oily fish. It is important not to overheat these healthy fats, as this may change their properties, potentially becoming harmful. The fats to avoid are vegetable fats such as groundnut, sunflower and corn oils. I find that a great majority of women are not having adequate protein to cover their needs while trying to conceive. The protein we eat provides the basic building blocks (amino acids) for our own bodies as well as a baby. I advise my clients to have a portion of protein with every main meal. Good sources of protein include meat, eggs, pulses, nuts, and seeds. Research shows that increasing your protein intake to 60g/day improves results during IVF stimulus. 60g of protein equates to around two chicken breasts. For women, it’s important to lay down folate stores for a minimum of 12 weeks before trying to conceive. I believe that it’s better to focus on the natural form of folate. This is found in food, rather than the synthetic form Folic Acid, which is found in many supplements. There is a concern around those with a certain DNA variation called the MTHFR gene and fertility. Those men and women with a ‘snip’ in the MTHFR genes are not able to process the synthetic folic acid well. We now know that this can cause problems with fertility. Around 40-60% of the population carry one or more MTHFR ‘snip’. Therefore I always like to err on the side of caution and recommend a supplement with the natural form of folate instead. This is in addition to folate containing foods. These include all of the dark green leafy vegetables such as kale, spinach and broccoli. Omega-3 fats are essential for building a healthy brain and nervous system. In addition, they will protect mum’s brain health during pregnancy and breastfeeding. 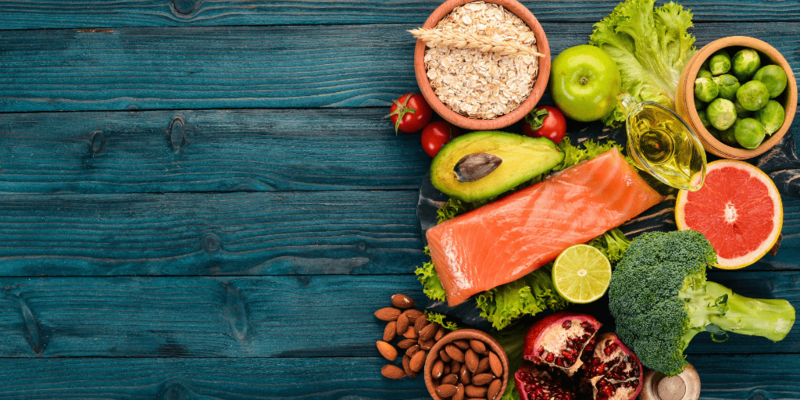 Most of us don’t get enough omega-3 fats. The best source of omega-3 fats is oily fish such as sardines, salmon and mackerel. However, the issue with oily fish is that it can be very high in toxins such as heavy metals and dioxins. Therefore, I recommend that you limit your oily fish intake to two portions per week and get the rest of your omega-3 from a supplement. It is important to use a supplement that is certified free from heavy metals and other toxins. I recommend an omega-3 oil derived from the skin of the fish rather than cod liver oil. Low Vitamin D levels can have a detrimental effect on male as well as female fertility. High levels have also been shown to have an adverse effect so it’s important to have a blood test and then tailor the supplement to the individual. Studies show that 85% of women with PCOS are deficient in Vitamin D. The vast majority of patients in my clinic are shown to be low in this critical nutrient. Zinc is arguably the most important mineral for male fertility. It is involved in protecting the DNA inside the head of the sperm from damage. I frequently find it to be low in my patients. Many of us are now depleted in Zinc, Magnesium and Iron due to our stressful lifestyles and the fact that our modern soil is depleted. However, a word of caution; it can be very dangerous to supplement Iron if you don’t need it, so again it is best to have a blood test before deciding to take a supplement. 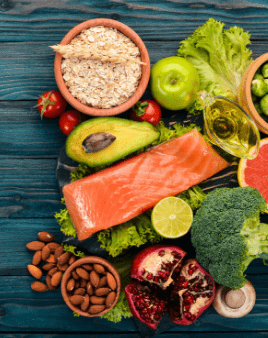 If you are chronically anaemic, you need to not only look at your food intake of minerals but also the potential underlying reasons such as heavy bleeding or poor digestive function in order to correct this. We all know that smoking, recreational drugs and alcohol are not helpful when we are trying to conceive. These are not the only toxins we need to avoid. Toxins are everywhere in our environment; pesticides are sprayed on the food we eat; the air that we breathe is polluted. Our beauty, cleaning, and personal care products also contain potentially harmful chemicals. It’s impossible to avoid them all but we can certainly reduce our exposure. For example by considering buying organic food. Research shows that eating organic food increases IVF success rate. Additional strategies such as improving the air quality in our homes and using more natural cleaning and beauty products in our house and on our bodies can also be helpful. Plastics are a source of potent hormone-disrupting chemicals and have the potential to wreak havoc with both male and female fertility. The evidence is now emerging that BPA free plastics are unfortunately no better than its predecessor, so it’s best to avoid all plastics as much as possible. Consider for example swapping plastic Tupperware for glass containers, plastic water bottles for glass or steel, and remember to always remove the plastic lid from your takeaway coffee cup before drinking out of it! The above are just a few of the areas that we look at during a personalised nutrition consultation at IVF London. We also cover areas such as sleep, stress and exercise. All of these are just as important for a holistic view of your fertility and giving you the best chance possible at having a successful IVF cycle. By understanding the individual factors that impact on your fertility as a couple, you have the potential to take control of your own fertility potential.